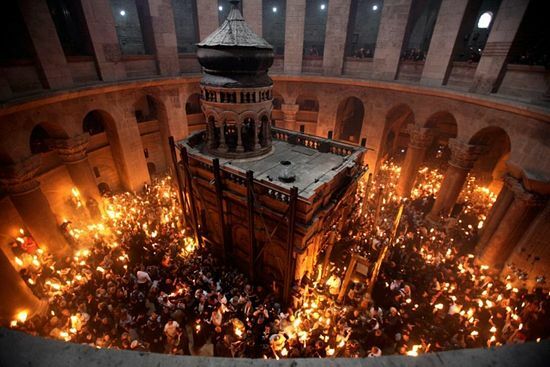 Israel on Tuesday suspended tax measures and other actions that led to the rare closure of the church built at what is seen as the holiest site in Christianity, shut down all week in protest. 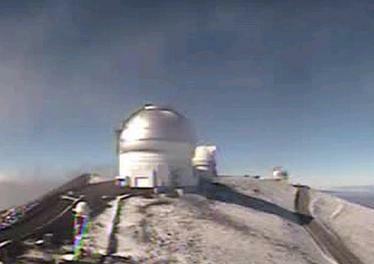 A Hawaii judge on Thursday issued an arrest warrant for a man because he spoke the Hawaiian language in the courtroom. Two police officers were shot and killed Friday as they patrolled the Temple Mount, Judaism's holiest site, in Jerusalem, Israeli authorities said. 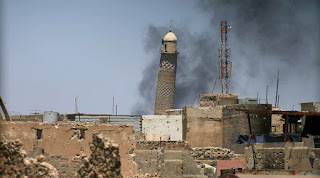 The extremist Islamic State (IS) militants have blown up Mosul's historical al-Nuri mosque and its leaning minaret, as Iraqi forces are pushing near the Mosque area in the western side of Mosul, the Iraqi military said. 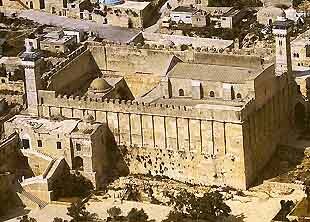 UNESCO recently announced that the Al-Aqsa Mosque, located in the Old City of Jerusalem, is a Muslim holy site. However, Israeli Prime Minister is "not paying attention to international rules" and plans to continue excavations under the mosque, which could lead to the destruction of the building, Iranian expert Emad Abshenass wrote for Sputnik. 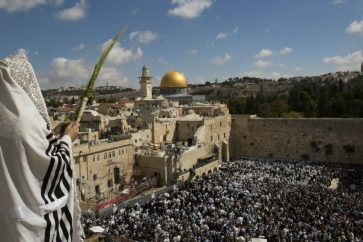 Thousands of Jewish faithful flocked early on Wednesday to the Western Wall in Jerusalem's Old City to receive the traditional Priestly Blessing from the Kohanim, or Hebrew priests. Israeli authorities announced Tuesday they were closing Jerusalem's flashpoint Al-Aqsa mosque compound to non-Muslim visitors after a series of clashes between worshippers and police. Israel's High Court of Justice has issued injunctions against the demolition of six homes belonging to suspected Palestinian militants accused of killing Israelis in the West Bank, Agence France Presse reports. Palestinian president Mahmud Abbas on Friday condemned the torching by Palestinians of a West Bank site holy to Jews amid warnings it could inflame more than two weeks of deadly violence. Palestinian protesters torched parts of a Jewish holy site in a West Bank town, according to Israeli officials, who are preparing for more major protests on Friday amid a continuing wave of unrest. Israel destroyed the homes of two Palestinians involved in attacks on Israelis more than a year ago. A senior Hamas official Saturday called on Palestinians to take up arms to "defend" the Al-Aqsa mosque compound in Jerusalem after a rise in Jewish visitors to the flashpoint site. 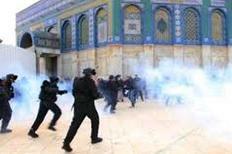 New clashes broke out on Monday morning between Israeli border police and Palestinians at Jerusalem's flashpoint Al-Aqsa Mosque compound, an Agence France-Presse journalist reported, with further trouble feared in the week ahead. 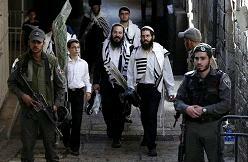 Hundreds of Jewish settlers forced their way into a Muslim shrine in the West Bank city of Nablus in the early hours of Monday, triggering clashes with Palestinian youths, according to eyewitnesses. Israeli police said Sunday they had arrested 39 Palestinians in the West Bank and east Jerusalem after days of protest and clashes over the flashpoint Al-Aqsa mosque compound. Israeli Prime Minister Benjamin Netanyahu said on Thursday that Palestinian incitement is responsible for the recent bout of violence in Jerusalem's flashpoint Temple Mount site. 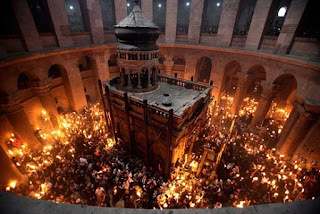 A delegation of Palestinian Christians visiting South Africa has complained about Israeli discrimination that restricts them from accessing holy sites in Jerusalem during Christian holidays.